This is a little set that I’ve been eyeing off for a while. It was cheap, so I thought I’d pick it up. There are plenty of interesting elements in this. In the box are 2 parts bags, a manual and a small set of stickers. 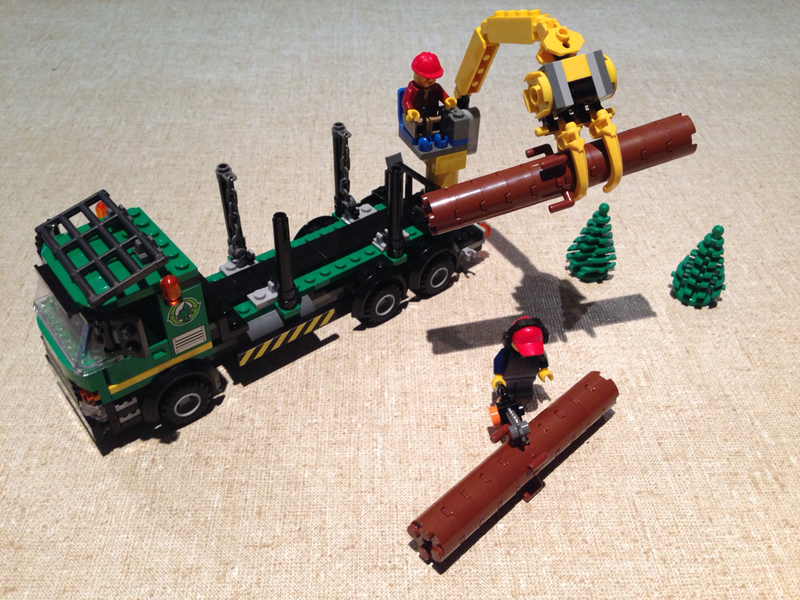 The big drawcard parts for me was the crane assembly. It comes with 2 arms (Brick 1×4 Friction/Stub/Fork), a Ball Coupling Friction/Fork, and 3 claws. This is easily replicable with other builds, so will be sure to come in handy. Other great parts are the 2×2 Flat round tile with hole, chains, and of course the 4×6 Lattice for Frame, used on the roof of the cab. There are also 6 wheel arches and a 1.5x6x2 Hand Rail. 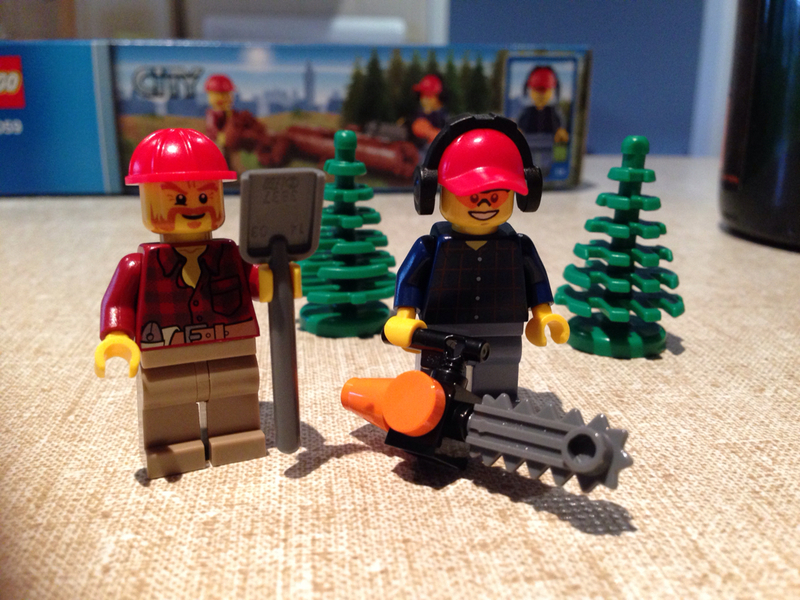 The 2 minifigs in this set are both male lumberjacks (both in checkered shirts). One has a hardhat and carries a shovel, while the other has ear protection, a red cap and glasses, and uses a rather large chainsaw. This build is really simple, and a good set design. 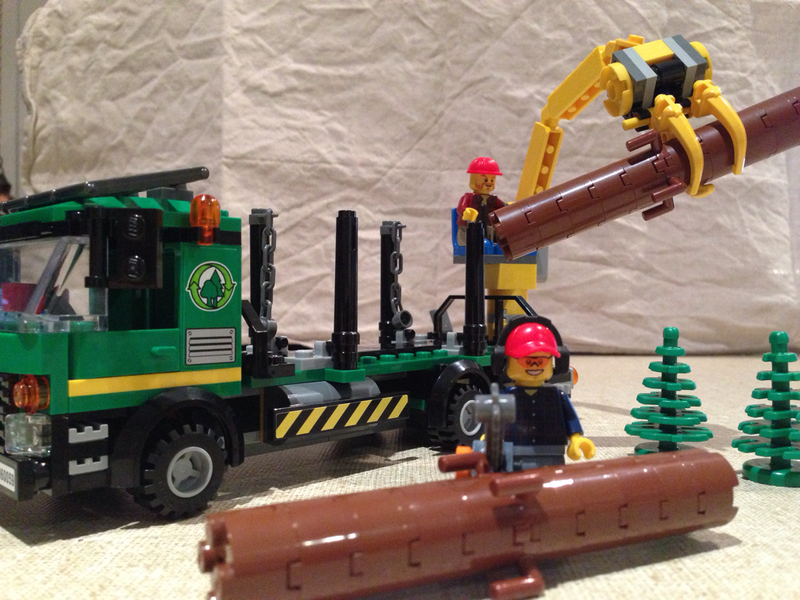 The chair and crane mechanism is really simple, and quite poseable. As an added bonus you get 2 Spruce Saplings, which is useful for many other builds. It’s a build that isn’t overly difficult, and it gets extra points for playability. I’m really pleased with this one. It’s a good addition to any collection. It’s a great colour scheme (not including the blue seat) too. Rating: 8 out of 10 hardhats. 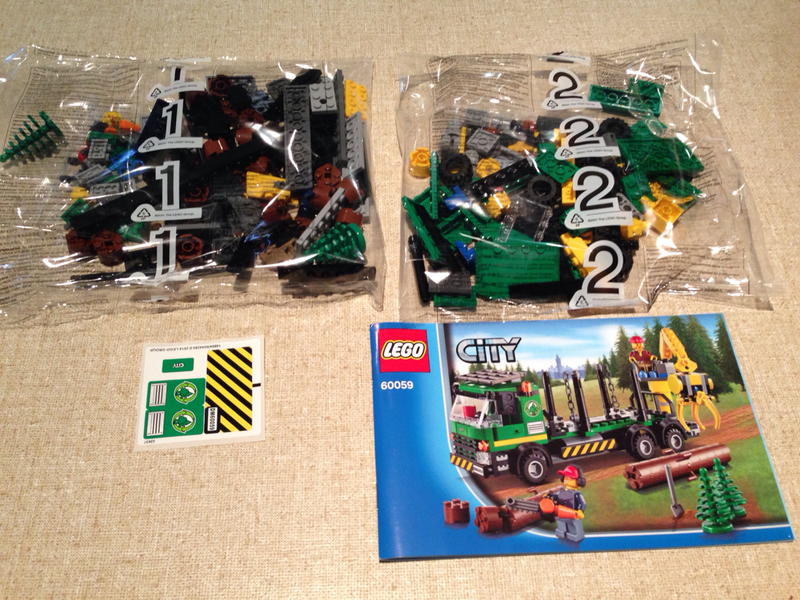 The next review will be 70801: Melting Room from The LEGO Movie!